I wouldn’t touch a naked pickle, but bread it and fry it in oil and I’m all over it. The history of fried pickles is a salty tale. Some say they were first introduced in a 1962 issue of the Oakland Tribune. The recipe called for sweet pickles and pancake mix. But it was Bernell “Fatman” Austin in Atkins, Arkansas, who made them popular at his restaurant, The Duchess Drive-In. 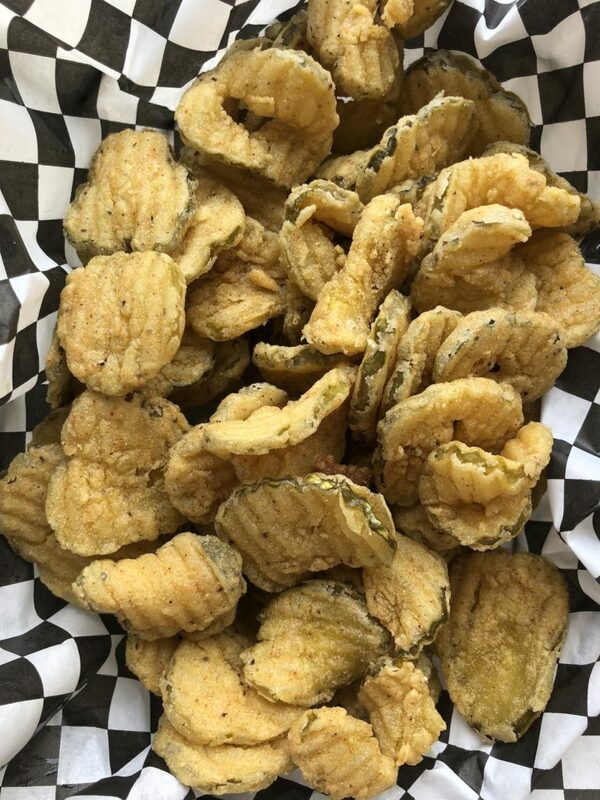 Fatman’s Original Fried Dill Pickles are still made with Austin’s original recipe at the annual two-day Picklefest each May in Arkansas. Dill pickle chips are tossed in a cornstarch and wheat and rice flour mixture. They’re fried in canola oil and served with housemade ranch; $7.95 for one quart.